Sydney, Sep 10, 2012 (Global Fashion Wire) - Still the only one of its kind in Sydney, Bizarre Bazaar pops up six times a year for four hours only in some of the city's hippest laneway locations. The thirteenth edition of the popular laneway market welcomes local foodies Eat Art Truck to the table: fusing modern, progressive street food with eye popping street art. The truck features Stuart Mcgill and Brenton Balicki, former Tetsuya's and Quay chefs. 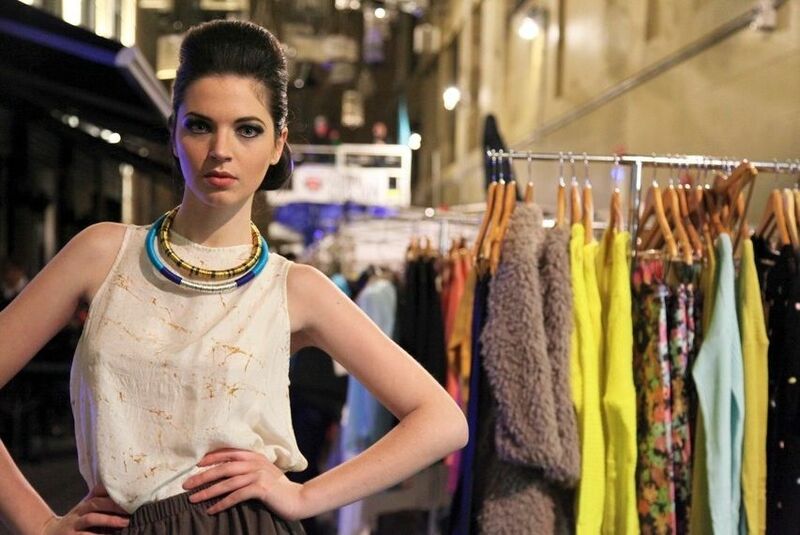 Bizarre Bazaar has evolved into a thriving community project, working in harmony with local businesses and City of Sydney Council to showcase the crème de la crème of Sydney's fashion offering. Christopher McLaren, the drive behind the hugely successful pop-up project spoke about the September 27 event, in association with Art & About Sydney 2012: "We're pretty chuffed, to say the least! It's humbling to see a project I created with my own hands develop it's own personality and support a broad scope of talented creatives and community projects. An exciting future lay ahead." Art & About Sydney is a collaborative arts festival which sees both the artist and the general public use the city as a canvas for creation and story telling. The dynamic annual festival, now in it's 11th year is produced by City of Sydney Events. Renowned for presenting the very best selection of emerging and established Sydney fashion designers, Bizarre Bazaar returns on September 27 with labels Kirsty Irwin, Faddoul, KAHLO and Project-Runway-featured Sasha-Rose in tow. Commando crowd-pleasers Guerilla Gigs also join the brigade, presenting a live Little Napier performance on the rear of a truck. Yes, no word of a lie, a truck.